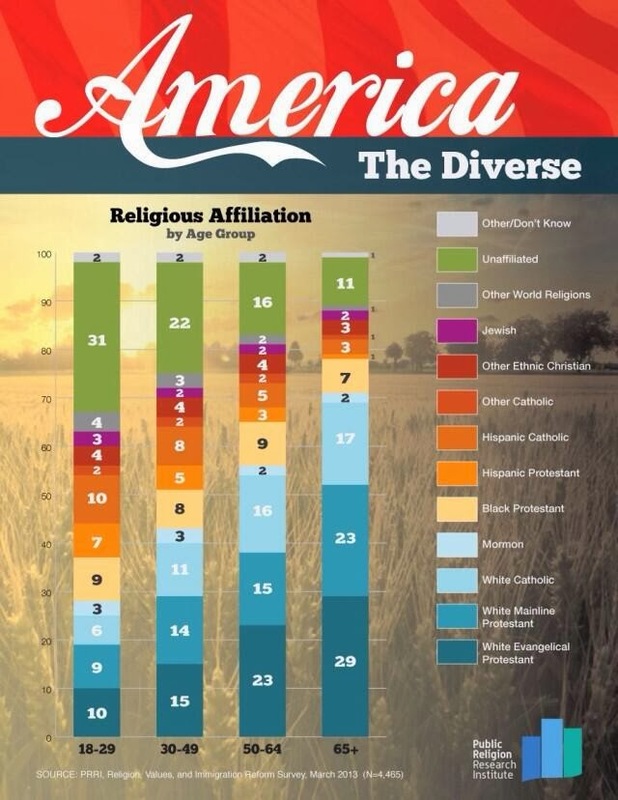 It really should be no secret by now that American religion is going through interesting times…mostly decline in formal affiliation. This, of course, includes Christian church attendance. 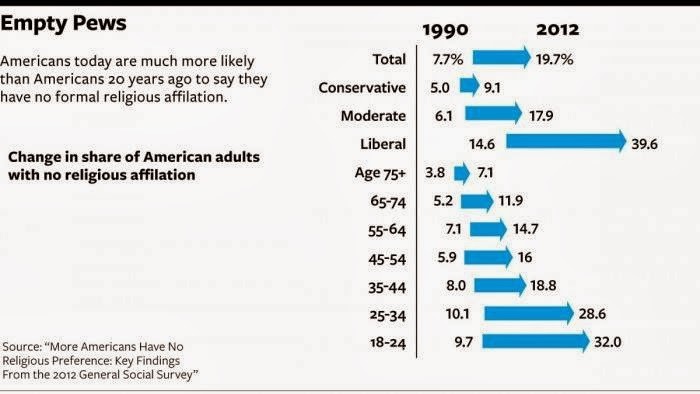 Every once in a while, we need CHARTS to remind our friends and constituents of this fact, as they make everything seem official and factual and, if the need arises, scary. And so we've been privy to some bright new shiny CHARTS lately, used for one or more of the aforementioned purposes. First up is one that Tony Jones recently shared from the Pew Research Center with a clickbait title with some analysis of what it means. Jones focuses in on the huge amount of Millenials who consider themselves "unaffiliated" and calls the church to account for its failure to engage them effectively. Those who have been paying attention to such trends for the past decade or two would not be very surprised by this; neither is the criticism that the church can do better a new one. What does this show us? Pretty much what I said above: this has been happening for a while. Not only that, but it's been happening across the board no matter one's age or sociopolitical affiliation. But what does it mean? Shall we commence with the hand-wringing and airing of grievances? Sure, a lot of people love doing that. It's popular because we're pointing out the truth, man. But besides that, what are the takeaways here? 1. 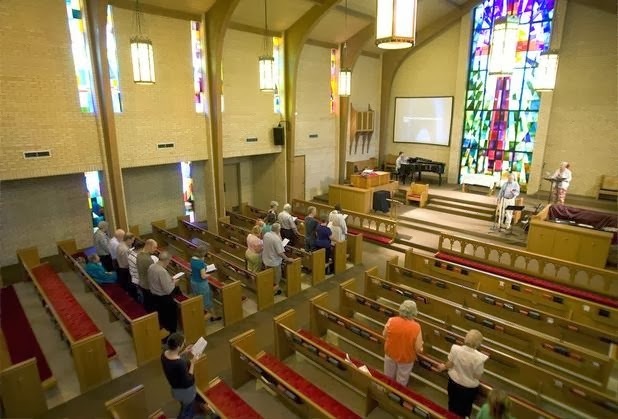 The population of the American church is getting older and shrinking. But you knew that, because CHARTS. 3. No blanket remedy exists to fix the "problem." Just saying things like MOAR POWERPOINT isn't going to help. What each individual church is going to need to do is read their context and respond in innovative, risky, missional (I know this word has fallen out of fashion, but I still like it) ways. I offer further commentary on this point here. It's going to continue to be interesting, that's for sure. How each local church responds--and how each denomination helps their local churches respond--is going to be crucial.